Fall will be over before you know it, which means something huge: wet, cold, gross weather is upon us. Whether it’s raining, snowing, or doing a little of both, sometimes going outside can be pretty disgusting for your feet. On particular icky days, you might not want to subject your nice boots or shoes to getting stained and wet. Many of you will reach for a pair of rain boots to stay dry and warm. It’s just practical! 1. Keep it simple with leggings, socks, a comfy tee, and a cute hat. It’s an easy and chic way to stay warm and dry! 2. 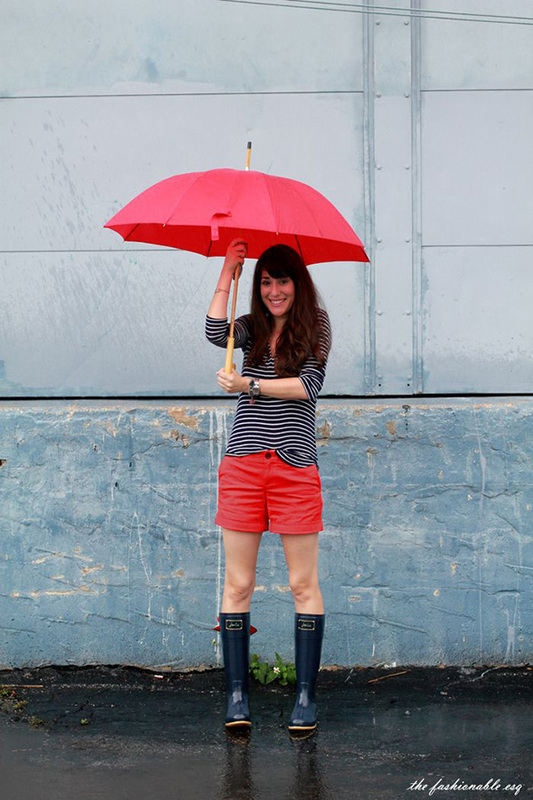 You can still wear a skirt and sweater on rainy days, as long as you pair them with tall rain boots and socks. 3. You can even make a white dress work for rainy days with boots, socks, and a cozy sweater and scarf. 4. 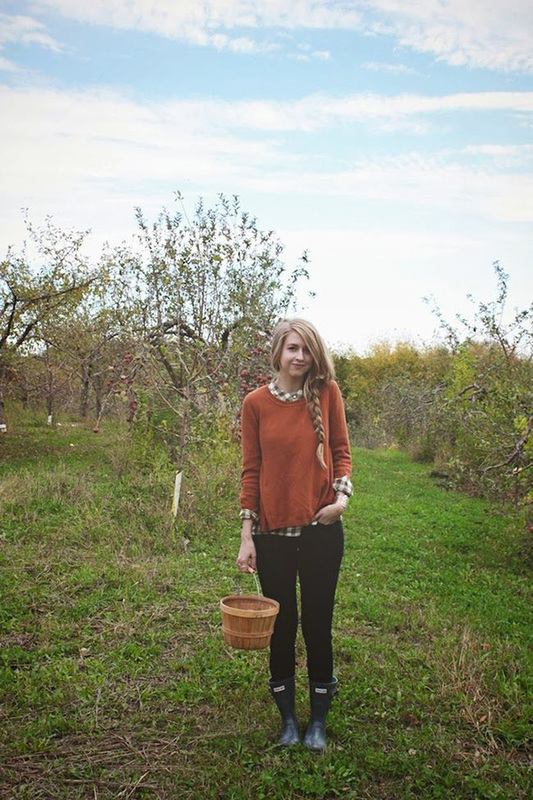 Add a knit poncho instead of a rain coat for a cozier feel. 5. 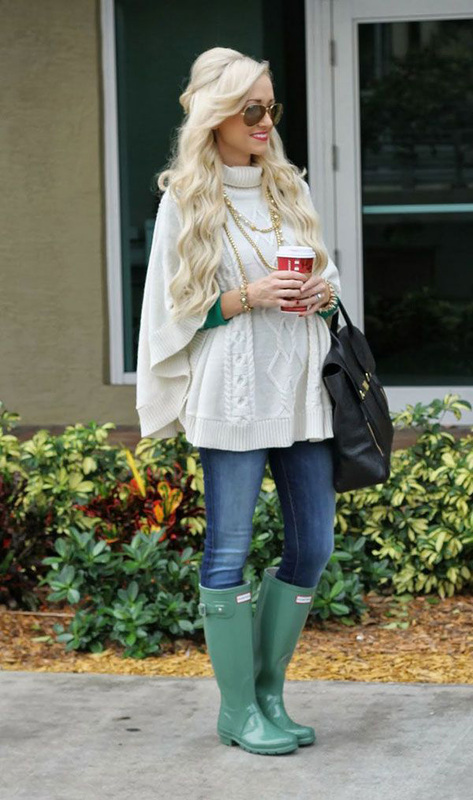 Add a long shirt over leggings for a comfy rainy day outfit. 6. 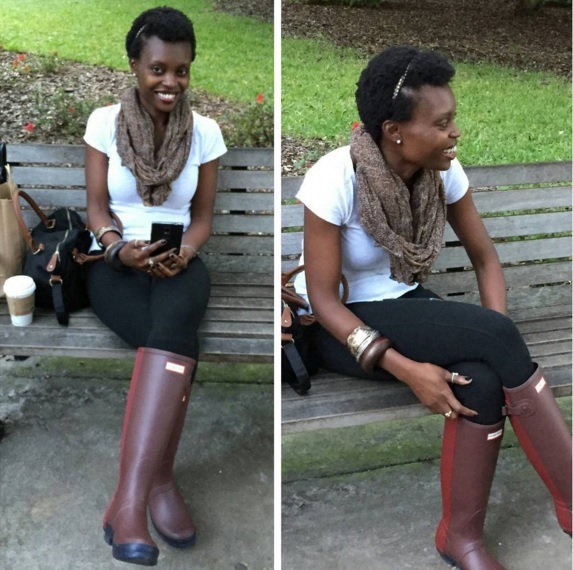 Have fun with the weather and go for mismatched boots to do something different. 7. Those of you who live in a warmer climate can pair your rain boots with shorts. 8. Wear black rain boots with an all black outfit – it even makes rain boots look glam. 9. 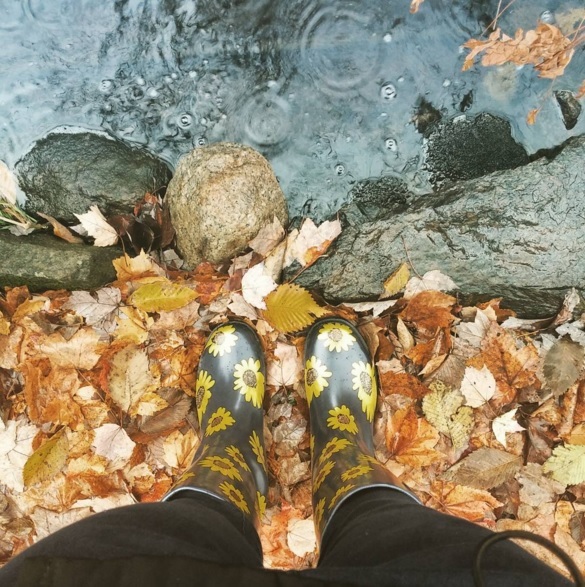 Pair your rain boots with jeans and add some fall layers. 10. 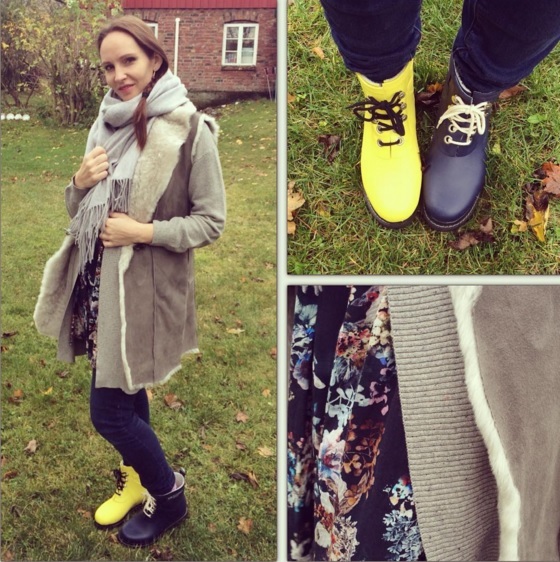 Wear colorful rain boots with a colorful outfit – who says you need to be as dreary as the weather? 11. 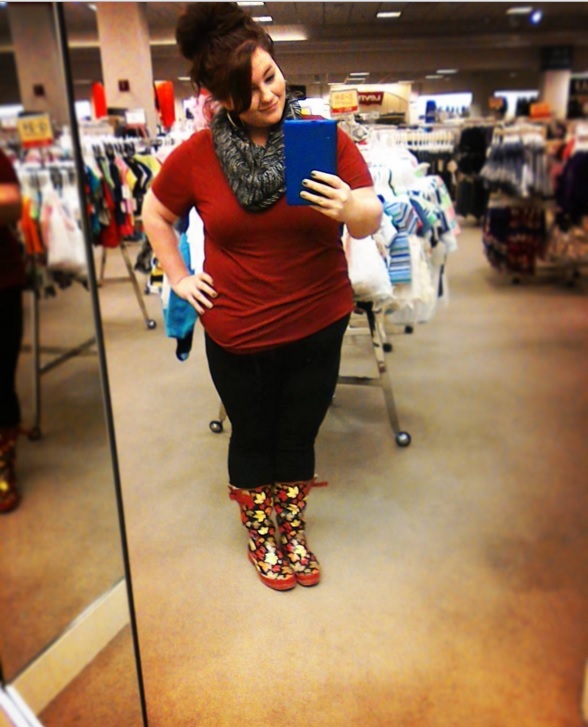 If you don’t want to go TOO bold, you can buy a pair of colorful rain boots and then pair them with neutral basics. 12. Match your rain boots to another accessory, like a scarf or hat, for a streamlined look. 13. 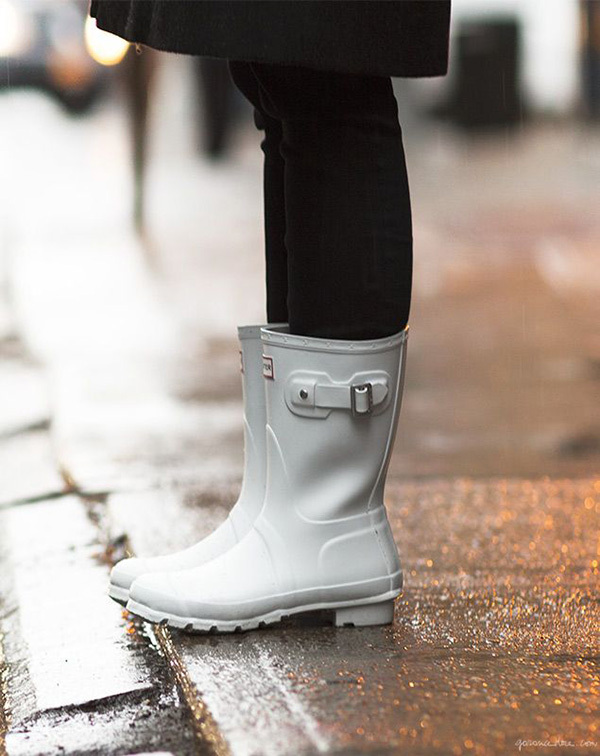 If you hate the look of rain boots, choose a pair that look more like ~regular~ boots. 14. Wear them with a dress over tights to stay extra warm. 15. Instead of getting a solid color, buy a fun print. 16. Add knit socks under your rain boots and over jeans for cold days. 17. 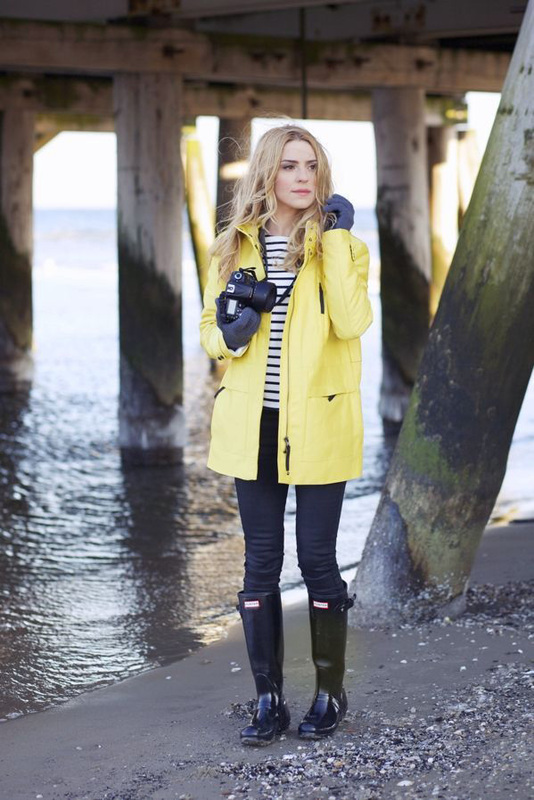 Choose super bright rain boots to really add some color to dull day. Look how fun these yellow ones are! 18. Opt for a summery pattern to keep the winter blues away. 19. You can also get rain booties if you’re into a shorter look. 20. 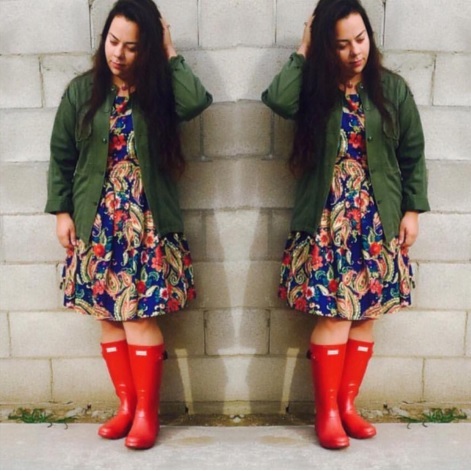 If you have solid colored boots, pair them with a bright rain coat.